These are some of the most common commands people are using, and the ranks at which they can use them. This list will expand as new commands get added. This server incorporates several different server worlds, with very different rules. Fancy - our origonal server with Runecraft and MCMMO among other things. Plain - vanilla minecraft with only griefprevention plugin. PVP is allowed, besure to protect your stuff with greifprevention. 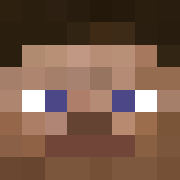 Skyblock - Try your hand at starting with almost nothing. Callenges provide awards along the way. 1. Use a stick to left click one corner, and right click the other corner. 200x200 max size. 3. Then create the residence with "/res create (name)" replace (name) with whatever you want. /res create [ResidenceName] - create a residence. /res message [enter/leave] [message] - sets a enter or leave area message. You can omit to use the one you're standing in. /res message remove [enter/leave] - removes a enter or leave message. /res subzone [SubZoneName] - create a subzone in your residence. You must be the owner to do this. /res rename [OldName] [NewName] - renames a residence. For subzones, OldName must the the full name (parent.subzone), while NewName is only the new name. /res remove [ResidenceName] - remove a residence. /party [party name] - Creates or joins a named party. /party q - Leaves the current party. /p - Toggles party chat on/off. /invite [player name] - Invites the named player to the current party. /accept - Accepts a received party invitation. /party lock - Locks the party you are in. Only works for party leader. /party password (password) - Applies a password to your party. Only works for party leader. /mcmmo - Displays general mcMMO help text. /mcc - Displays the list of mcMMO commands. /mcstats - Displays the current skill levels of the player, including the current XP and the total needed to level up. /[skillname] - Displays information on a specific skill. /mctop - Shows the top 10 people with the highest power level on your server. /mctop [skillname] - Shows the top 10 people with the highest level in the specified skill on your server. /mcability - Toggles whether or not you can activate abilities with right click. 4 residence area protections, 200x200 max size each. /me (text) - displays [player] (text) example: *nlancaster slaps forehead. /play battleship [player] - Play battleship against someone, to play against the computer use "Battleship" as player name. //unstuck - If you get stuck in a ground or wall after teleporting this will get out. /spawn - teleports you to the Spawn point for whichever world you are in. /home - teleports you to your home teleport no matter what world you are in. Regulars:- have been active on the server for more then 1 week. 6 residence area protections, 200x200 max size each. 8 residence area protections, 200x200 max size each. Veteran:To qualify must have been on the server at least 2 months, fully built above ground hub lot, and built a outpost out in the wilds. To qualify must have been on the server at least 2 months, fully built above ground hub lot, and built a outpost out in the wilds. This topic contains 0 replies, has 1 voice, and was last updated by Nick 6 years, 10 months ago.